Worked as the IT and Social Media Consultant for the Ministry of Information, with accountability towards planning and executing various internal projects. Developed and supervised over the execution of social media strategies and other digital initiatives, including execution of viral campaigns, management of digital channels/accounts, etc. Handled the integration of interactive media and its various aspects within the Ministry of Information’s agenda, and drive necessary SEO / SEM activities. Led managed and supervised technical teams to activate social media campaigns and digital marketing programs on behalf of the ministry. Provided in-depth insights to the ministry about the implementation of comprehensive IT solutions and systems to optimize operational productivity. Involved in the preparation of technical as well as functional requirements for ministry projects, along with end-to-end project planning and scheduling. Conducted feasibility study about the ministry’s IT requirements and accordingly recommended technological changes within the existing infrastructure. Ensured timely follow-ups with all departments of the ministry including TV, Radio, Engineering etc, and assisted in the completion of technical projects. 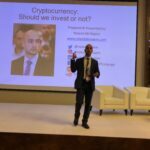 Speaker at the Social Media Conference held in Kuwait, in 2015. Chairperson of the 4th Middle East Smart Cities Summit, held in Dubai, UAE, in Dec 2015. Speaker at Business Continuity Management for Utilities Middle East Conference, held in Abu Dhabi, UAE, in 2015. Speaker and Panelist in Real Time Communication Dubai, in 2015. Participated as a guest in the Future TV Interview on 28th Feb 2015. Speaker at the Information Education Day in Kuwait, in 2015. Head of Jury for the Smart Government Award, as part of the 5th E-government Excellence Award Ceremony held at Al-Bustan Rotana Hotel, Dubai, UAE on Jun 3, 2014 – Managed Jury Team during the Winners Selection Process and defined all the criteria and categories for Winning Websites and Social Media Campaigns. 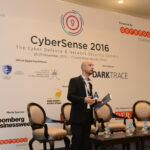 Speaker at the Promedia Social Media and Information Security Conference, in Kuwait, in 2015. 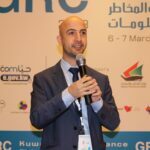 Speaker at the 4thMiddle East Cloud Computing & Big Data Conference and Exhibition held at Radisson Blu Hotel (Kuwait), . Spearhead high-end IT projects and assignments on a simultaneous basis, define the scope of work for every engagement and explain client requirements to the technical team. Render definitive IT consultancy and web solutions advisory to clients, with respect to the operational challenges faced by them in their respective businesses. Provide sophisticated plans for backup and disaster recovery, inter-company networking, information security and IT systems implementation. Function as a key stakeholder with regard to concept development for websites, web applications, mobile applications and e-business services activations. Guide and mentor teams to develop turnkey IT solutions for clients, maintain coordination between programmers, graphic designers, webmasters, SEO experts etc. Manage an extensive client portfolio in Lebanon and Dubai, including solidarity-card.org (for the Catholic schools in Lebanon), Lions Club International, Promoseven in Dubai and many others. Focus on the retention of key client accounts by delivering quality output, while also working towards the addition of new customers to fuel business growth. Collaborate with management team members to prepare business proposals, chalk out project plans and negotiate project delivery agreements with clients. Schedule and attend meetings with clients, deliver technical presentations related to installation, deployment, and maintenance of specific IT products/solutions, tailor-made for their functional needs. Conduct ongoing research about advancing technologies, identify the need for upgrading existing technical environment and execute necessary steps to oversee such changes. Established the Social Media Agency with an objective to assist businesses from across various sectors to promote and grow their business using professional social media consultancy. Render robust social media campaign planning and management consultancy to clients on an ongoing basis and undertake their projects on a simultaneous basis. Work towards the retention of existing clients along with the addition of new accounts to the portfolio, in an effort to increase the company’s revenues. 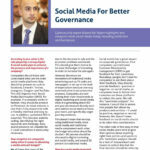 Lead and manage campaigns across various social media platforms including Facebook, Twitter, Google+ and Instagram, using advanced tools and techniques. Advice clients on creatively developing social media pages for their Facebook and Twitter handles, in a bid to attract more visitors and enhance the follower base. Strategize SEO and SEM measures in combination with social media plans, to optimize e-marketing results and increase the market share of client companies. Coordinate with the HR Team for the recruitment of talented individuals for driving social media campaigns on the behalf of the company’s large clientele base. Evaluate campaign performance on a monthly basis, identify scope for improvement and accordingly effectuate strategic changes in the plan. 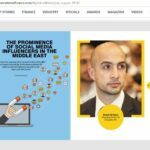 Functioned as the Chief IT Consultant to Dr. Samir Geagea of the Lebanese Forces organization, and provided timely advice about IT solutions and systems. Worked as the Head of IT Department, with a major focus on restructuring and enhancing the existing IT infrastructure at the organization’s facility. Handled various operations related to the official website of the Lebanese Forces, including content planning, development, and publication in a regularized framework. Ensured daily updates on the news portal through detailed reports about various political events, interviews with politicians and artists etc. Conducted interaction with the MPs and Ministers representing the party in the Lebanese Government, and published their views about various administrative policies on the website. Developed management reports on a monthly basis to provide stakeholders with periodic trends about unique visitors, repeat visitors, registered users etc. Worked as the technology manager for Lebanese-Forces.com and handled minute-by-minute updates of the site through a team of cross-functional technicians. Utilized highly scalable technologies like Dreamweaver to update website pages on a regular basis, over the local FTP configured for the purpose. Acquired remote access to the main server, maintained the dynamic database of the website, took file backup and ensured optimum data security. Provided approvals to the team for the creation of emails on the domain for registering users as well as for the creation of sub-domains to add new sections/categories. Supervised over the daily operations of the technical team, allocated tasks to team members and coordinated with webmasters for audio-visual and textual website updates. Handled end-to-end accountability towards security control, tested the website to find security loopholes and rectified such incidents promptly. 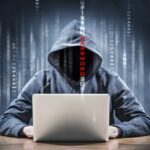 Spearheaded the IT Operations of the company, with focus on maintaining coordination between technical, sales, marketing and service delivery departments. Defined the entire workflow structures and created awareness about the same amongst all staff members to streamline multiple functions of the company. Provided leadership to the technical team comprised of web developers, IT consultants, security experts, designers, and webmasters, for the conceptualization and development of websites. Functioned as a System Analyst to review and test all security measures in place for various client websites, and collaborated with hosting service providers in US and UK for the purpose. Handled accountability towards providing end-to-end coverage and publication for live broadcasts, online streaming etc, pertaining to all events of Lebanese Forces. Formulated the annual budget for the technical department based on a realistic estimation of operating costs with respect to technology procurement, resource requirements, software licensing etc. Worked as a subject matter expert with regard to Search Engine Marketing and Search Engine Optimization and guided cross-functional teams to improve positional ranking for client websites, across all major search engines. Performed various duties as the main contact between the company and 3rd party vendors, including evaluation and resolution of technical issues. Assigned as the MD of this mega sports portal, with major accountability towards its establishment, day-to-day updates, and revenue channel activation. Planned the entire project cycle, allocated distinctive tasks to team members and conducted regular follow-ups to ensure time-bound and quality-oriented work completion. Provided leadership, direction and necessary guidance to the sports team for the conceptualization, designing, development, and release of the portal. Collaborated with the senior leadership team of the company to chalk out the website plan and accordingly prepared the annual operating budget for the portal. Functioned as the chief contact between the portal and local/international basketball and football players, in order to plan, conduct and publish player interactions and interviews on the site. Undertook visit to Turkey with the Lebanese National Basketball Team to cover the Turkey World Cup in 2010, and updated every day reports on the portal. Feb 2013 – Present: Social Media – Online Security Instructor & Consultant with MCF – MI (May Chidiac Foundation – Media Institute), tutoring courses in social media, online presence, e-marketing and online security to graduate students and expert reporters. May 2013 – Present: Social Media – Online Security Instructor with American University of Science & Technology, tutoring courses in social media, online presence, e-marketing and online security to graduate students. 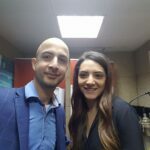 Jan 2013 – Present: Social Media – Online Security Consultant with Aljazeera Channel, Doha – Qatar, functioning as a consultant to Mr. Ibrahim Helal – Director of News and Ms. GhadaOueiss.